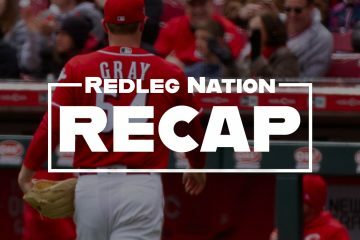 The Short Version: Reds lose. Again. But at least Brandon Dixon hit his first MLB homer. That was fun for him, one would imagine. –Jesse Winker had two hits. Eugenio Suarez hit his 13th home run. Brandon Dixon hit his first major league home run in the top of the ninth. Dylan Floro pitched two scoreless innings. –I saw Luis Castillo in the dugout during today’s game, and we need to acknowledge that he has great hair. Very underrated. –Austin Brice entered the game with a 3-1 deficit, and the Bucs were up 6-1 after Brice finished pouring gasoline on the fire. –After the recent three-game winning streak, I thought the Reds had turned into the best team in the league. After dropping two in a row to Pittsburgh, it appears that I may have been wrong about that. –Luis Castillo…I dunno. Five innings, three runs allowed on six hits and two walks, with just two strikeouts. I just don’t know what to say about him. This is not what I expected to see from Castillo this season. –I was planning to drive the family up to Pittsburgh for today’s game (and maybe tomorrow’s), but my son’s baseball team decided to play in a tournament. They lost both games today, and the Reds lost too. No good options there. But at least we’d have seen RN author Nick Kirby if we had visited Pittsburgh. –Anthony DeSclafani will try to salvage one game from this series tomorrow afternoon. Small sample, but according to Statcast data, Michael Lorenzen has the 11th lowest hard hit% (24.5%) of the 427 pitchers who have had at least 40 batted ball events. For context, Aroldis Chapman is 140 at 33.3%. If Lorenzen starts striking out guys at 2016-2017 rates, watch out. Opposing batters are hitting .095 against Amir Garrett's slider. When batters swing at it, they miss over 54% of the time. That's just incredible. A dominant pitch that plays even better now that his fastball velocity is up some. Through 5th inning, #reds are 0-for-6 with RISP. In last two games here, they're 0-for-18. Gennett just popped out to leave Schebler stranded after leadoff double. Perhaps the best thing the Reds have done today is get one game closer to the 2020 season. Sure, as long as he can stay in the bullpen. A win tomorrow gives the Reds a winning road trip. Fun fact of the day, courtesy of The Legend, Peter Gammons, writing at The Athletic…. Entering this week, the team that hit more HRs in a game had a winning percentage this season of ….. .781. Because he is cost-controlled for through 2021, I could see giving Duvall a shot in RF, Schebler in CF and Winker in LF to help the situation. But, we all know the challenges with writing Havoc out of the picture. This team can’t give up on Castillo, can call up Bob Steve, maybe Disco rights the ship in Pittsburgh tomorrow (pun intended). But, this lineup desperately need some Long Ball added to it for next season and Senzel, great as projects, may not solve that part of the equation, either. I wonder what a team’s winning percentage is when it gets more hits than the other team? When its starter goes deeper in the game? When it makes fewer errors? No wonder Senzel is dizzy. Isn’t Blandino the backup at SS? Love Barnhart but he shouldn’t be batting second. The Reds have a multitude of pitchers that can’t go longer than five innings. This is absolutely amazing. I read Doug’s update on Senzel and he has evidently playing there for one game to just keep him familiar with the position. This seems a little confusing. Why does he need to be familiar? Is he the backup SS for Louisville or can he actually field the position well enough to be a starter? If he can play it why is he not getting more reps there? The sorting is done on Homer and Finnegan and Harvey as starters. Give lorenzen and Stephenson a look. I still say the simplest solution is to move Suarez back to SS, and let Senzel have 3B. That way, Senzel gets to play his most familiar position, Suarez moves back to the position he’s played for most of his life, and all the other middle infielders in the organization duke it out for the right to play 2B. Heck, while we’re at it, put Scooter in CF and see how he does out there. The Reds aren’t going to win much this season anyway, why not experiment some and see if we can catch some lightning in a bottle? I know it’s blasphemy to mention soccer on this site, but as I was driving down to the FCC soccer match, Marty and the Cowboy were talking to Bobby Nightingale and discussing why Senzel isn’t up. Essentially they were saying that he is a major leaguer now and there is no reason not to find a place for him. They were saying they would have had him playing LF and part of the issue is that the Reds don’t want to hurt anyone’s feelings by replacing them. To his credit, Marty pointed out that on a team that is going to lose 90+ games for the 5th straight year, hurting someone’s feelings is the last thing the Reds should worry about. I’m shocked that they played him all Spring at SS, and came to the conclusion that he couldn’t handle it. Of the games I saw, he made every routine play and several of the tougher ones. Duvall makes $645k/yr. He isn’t a free agent until 2022. He has very little value on the trade market unless it is part of a package with another player. He should be moved into his future position as the 4th OF and bat off the bench now and someone else (Gennett?) should get a tryout in the OF. Billy can be traded for a bag of baseballs or whatever else he can bring because he is not worth $5 million/yr. Call up Herrera and put him at 2nd to see how he does. Senzel can wait until September while we figure out what else we have. I have a colleague who is a huge Yankee fan. Before he season started I told him I thought Castillo was as good as Severino. Wow, do I look really stupid. Castillo has been the worst development of this whole season imo. Everything else has been somewhat predictable. A 3.12 era to 5.77. 17 Hrs in 78 ip this year. Last year he gave up 11 in 89 ip. I remember when he came up in Arizona and his stuff was so electric! He looked like the best of Edison Volquez except he was throwing harder at 98-99 mph. His change was starting in the strike zone and dropping 2 feet in the dirt. Everything just seems so ordinary about him now? Way too many grooved 94-95 mph fastballs and hanging change-ups. I think they should send him down and let him work on some things. He needs a 3rd pitch he has faith in! I still think he has a good future if he can keep the ball down. Why not subtract Castillo, Harvey, and Brice. Brice has never been any good? Never! Peralta is another one. He’s terrible! Done nothing but regress since early 2017. Add Stephenson and Lorenzen to the rotation. Why not promote Jose Lopez or Keury Mella for Brice. They could be the long man and get a spot start at some point. Romano has never been particularly good in the minors either? One good start in KC means nothing. He’d be wise to look at some apartments in Louisville if I had any say. I get that you want to give young guys an extended shot and they need to play to succeed and they need to have some success to gain confidence. This is true, but they also need to play the best players and penalize/reward for performance! Why are they so in love with Romano and Peraza anyway? They were barely mediocre in the minors? Shake things up! Call Senzel up immediately! If they moved Scooter in LF then they could get Senzel and Herrera in the lineup! That could be a scary lineup and give this organization some much needed hope going into next season! If Castillo was going to be a sure thing he wouldnÃ¢â‚¬â„¢t have been traded so easily to us. I suspect we have reached a breaking point in his development. He either commits to his craft, doubles down and focuses on the last bit of polish he needs to excel, or he doesnÃ¢â‚¬â„¢t. Clearly his last team didnÃ¢â‚¬â„¢t think heÃ¢â‚¬â„¢d commit. And the Reds did. Too bad we donÃ¢â‚¬â„¢t have a Mazzone or Duncan to mentor him. INDY: Your last paragraph makes too much sense. WJ: We got Jesse & Adam for that. Maybe this Senzel guy could be a starting pitcher by next year? Ghosts of Aroldis Chapman, Amir Garrett and Michael Lorenzen: Move him temporarily to the bullpen. If you wanna keep Scooter you have to see if he can play in the outfield, BHam and Duvall have no place starting. Senzel apparently canÃ¢â‚¬â„¢t play short and Suarez is too good at third to move him. With this season in the toilet, thereÃ¢â‚¬â„¢s no reason no to not let Peraza have the whole year, if he can be an above average SS while hitting 280ish, steal 30 bags and score 80-90 runs at age 24 heÃ¢â‚¬â„¢ll be worth a longer look. In my professional bartender opinion anyway, lol. There seems to be zero hints from the organization that Scooter will get some time in the outfield in this lost season. DonÃ¢â‚¬â„¢t fret Reds fans. The trade deadline looms so the FO will soon be working on trades to rebuild the rebuild. Good times! I wish I had more confidence in our current front office and executive leadership. Even with an extended trip to the DL for his vertigo, Nick Senzel has again reached qualifying status in the International League. In 2016, Senzel destroyed the Midwest (A) League, slashing an impressive .329/.415/.567 in 58 games. In 2017, Senzel destroyed the Florida State (A+) League, slashing an impressive .305/.371/.476 in 62 games. In 2017, Senzel destroyed the Southern (AA) League. slashing an impressive .340/.413/.560 in 57 games. In 2018, Senzel has destroyed the International (AAA) League, slashing an impressive .305/.377/.481 in 39 games. Among qualified hitters in the International League, Senzel ranks 5th in OPS, 6th in AVG, 8th in OBP & 10th in SLG. He has a 10.3% BB% & a 20.0% SO%. He has a .176 ISO. He has 8 SB with an 88.9% success rate. 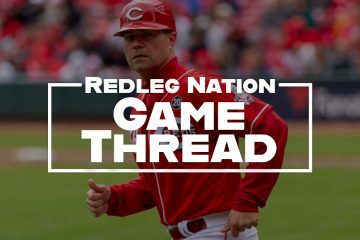 The Reds organization can’t find a place for Senzel to play at the MLB level. The time required for retaining an additional season of team control passed months ago. The time for the super 2 cutoff is arriving or or has already arrived. Yet there is no position at the major league level with the Reds for Senzel to play. 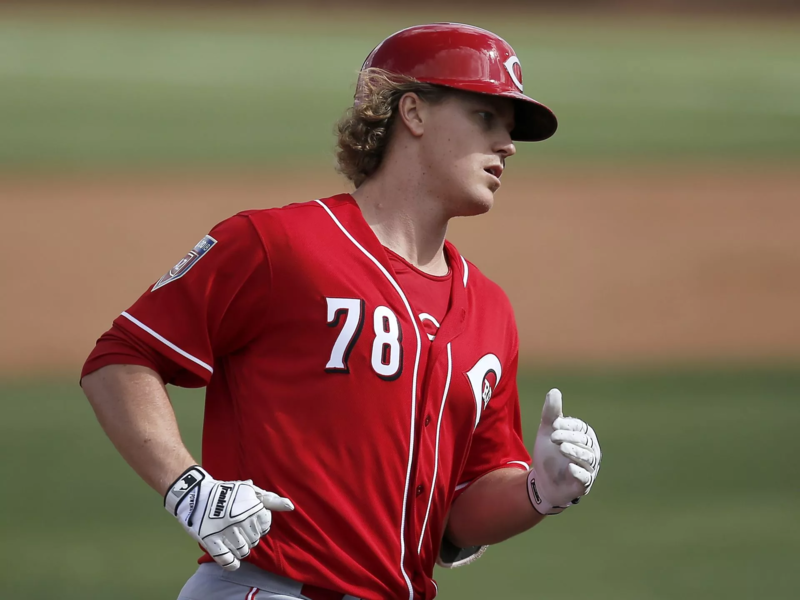 The Reds have 3 starting position players at the MLB level with an OPS less than .700 and an OBP less than .310 and they can not find a place for Senzel to play at the MLB level. I think this is possibly the strongest indictment against the Reds organization possible. Can anyone think of another MLB organization that couldn’t find a place for Senzel to play at the MLB level? Reds ownership will probably trade Senzel to a contending team for a sub .500 starter and call it a win for the future. Just makes me sick how this organization is so incredibly lost. Can’t find a place for Senzel to play! Look at the,Yankees. They brought up a kid in Torres and he is ripping the ball everywhere. Drury the guy who was suppose to start can’t get out of the minors because of this kid and Andujar. Think if the Reds front office was in charge of thst organization. As soon as Drury was healthy they would have demoted the kid. No room for you young man. We will see you in 4 years. 2021 people! “if the Reds front office was in charge of that organization” the New York media (local and national) would be torching them 24-7. In Cincy the local media wants to talk about soccer. The national media only mentions the Reds score. Oh the media would crush those idiots here in N.Y.. I’m not sure what organization is worse the Reds or the Mets. Two Front Office’s that have no business in baseball. The Yanks need the Mets to be the Mets. Whatever the Mets do seems to always make the Yanks look like champs. Finnegan should think bullpen. Short stints. He doesn’t appear to be a starter. It’s obvious to me that Finnegan, as a starter, will never keep the Reds in the game beyond the fifth inning at best. Problem with the Reds is they have 42 (sarcasm)starting pitchers. They need to put their big boy pants on and tell the top 5 that they are the starting pitchers for the Reds . The rest of them they need to tell them if you want to be a starter it will be in AAA or AA. If you want to stay in the Majors you will be in the bullpen. After 10 to 15 starts and you haven’t showed us anything then somebody else gets the shot. Period. Harvey, Bailey and Romano need to learn a new pitch. 2 people because of injuries and one because he is young. They need to not take it as a demotion to AAA but an opportunity to extend their careers and fine tune their craft. Romano has decent stuff. He just needs a punch out pitch. Same with Bailey and Harvey. Injuries have taken their punch out pitch. They need to adjust. Great points about a “put away pitch”. I also think that pitch selection called by the catcher needs to be addressed. There was a time when a certain Reds catcher would stroll out to the mound and “explain” that he was the boss and that the pitcher better throw what he signaled for period. Two World Series later proved him right. I disagree. The Reds don’t have enough starting pitchers (pitching prospects). Of course we could keep the best 5 right now in the rotation, & then spend about $300 -350 MM this offseason to purchase the 2 sp that we’d still need. But the Reds do not have the resources to use that strategy. Reds need to trade for more sp prospects. They do not yet have enough to establish a competitive rotation @ the ML level. I think the last thing this organization needs is to trade for more prospects. They can’t even coach the prospects They got. They need to trade or sign for a major league quality starter.